Often asked by the too new users about comparing Arduino Vs Raspberry Pi for Do-it-Yourself projects. Arduino is intended for prototyping, the boards are micro-controllers. Whereas, Rapsberry Pi is actually a computer. Here is Arduino Vs Raspberry Pi comparative guide to help the reader picking the right one for the need or may be the both boards. What is actually said to be the processing unit, in case of Arduino, it is an 8-bit micro controller, in contrast Raspberry Pi is based on 32-bit ARM micro processor. From the memory part, Arduino is clocked between 8-16MHz with 2-8kB of RAM, in contrast Raspberry Pi can be up to 1GHz along with 512MB of RAM. Exactly like a full computer, Raspberry Pi has video outputs, Ethernet and USB ports. Arduino is basically first step to work with the embedded system development. Details about both Arduino and Raspberry Pi are published before. Raspberry needs 5V 3.5 Watts power supply and should be shut down like a full computer. Arduino is for executing codes needs 0.3 Watts power, simple pulling off the plug actually not hugely harmful. You possibly can understand that Arduino really can not be compared with Raspberry Pi. Raspberry Pi will need an uninterrupted power supply, a keyboard and monitor. 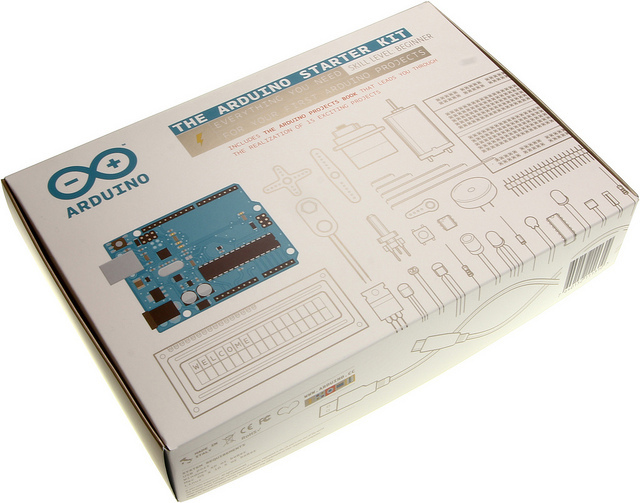 Arduino is supplied with an IDE designed for using on a computer and running the codes on the board. It is ideal for real DIY works – like controlling servo motors, controlling a basic dot matrix display, controlling a micro pump etc. Raspberry Pi is somewhat like a standalone server. Arduino is great for extending the hardware functions for the project with lesser budget. It does not have operating system – it makes it uncomplicated and light. Arduino brings the electronics closer, whereas Raspberry Pi brings computing closer. Arduino have an analog capability, this board is great to work with sensor data. Connecting directly with Internet of Wi-Fi is a bit difficult with Arduino. Exactly the next step after Arduino is BeagleBone Black. Unless specified, whenever we say Arduino, we usually mean Arduino Uno. There are many types of Arduino boards. The smaller boards which extend the function of Arduino are called shields. Raspberry Pi is good or probably the best at Raspberry Pi’s suitable usage. Blade Server is an server architecture that integrates card like modules consisting of all the elements of a server. Here are details on what is Blade Server. Piezoresistive sensor is semiconductor sensor made of silicon. The resistive material is on a thin silicon membrane which on Pressure changes shows the value. Cite this article as: Abhishek Ghosh, "Arduino Vs Raspberry Pi," in The Customize Windows, June 21, 2015, April 23, 2019, https://thecustomizewindows.com/2015/06/arduino-vs-raspberry-pi/.